Let’s say that an email landed in your inbox asking you to speak at a local conference. Or maybe a colleague left you a voice mail, inviting you to be part of a panel next month. What’s the first step you should take after saying “yes” to a speaking invitation? The answer is so basic that you might overlook it – at your peril. I recommend working backwards. In other words, put the event on your calendar of course, but also add two other critical dates. The first date to add is the day that you’ll stop generating content and start rehearsing the material. In other words, this is the date when you’ll start figuring out how to share your ideas in a compelling way. It’s usually about 3 to 5 days before the event, but may vary depending on the length of your remarks. At that time, start asking yourself questions about delivery. For example, what slides are needed to underscore the main message? What prop will help your audience “get it?” How will you tell the story or use the space on the stage? 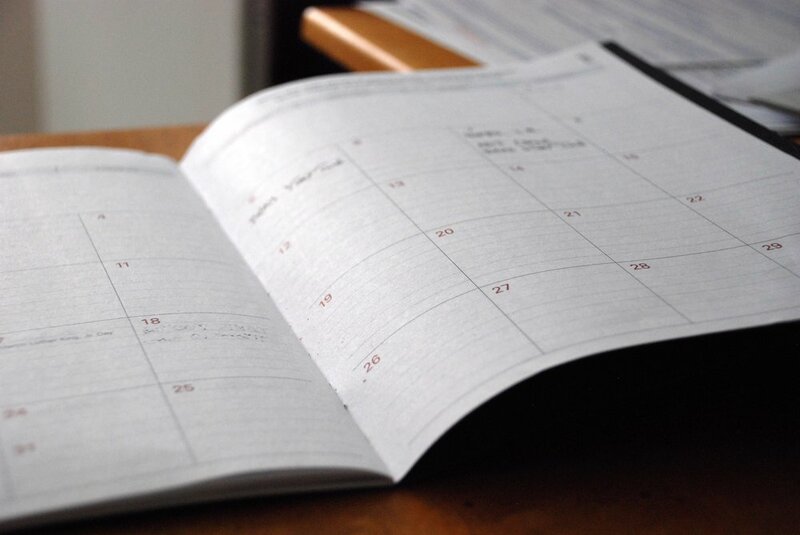 You will likely fine-tune content after this date, but having it on your calendar will give you a clear target: HERE, on this exact day, you’ll make that mighty transition from what you’re going to say to how you’ll say it. In addition to this date, I recommend blocking off chunks of time to prep and rehearse. Some folks like to set aside 2 hours at a time; others prefer shorter 30-minute blocks of time. It’s up to you and will depend on how long your presentation is. The important thing is to give yourself enough time so that you feel calm and confident on the day of the big event. Give yourself the benefit of time by planning backwards from the get go. This will help ensure all the effort you put into crafting the content won’t be wasted. Instead, you’ll have figured out how to share it in a way that’s clear, entertaining, and persuasive.